I wrote a post a year ago about items from Linda & Harriett. 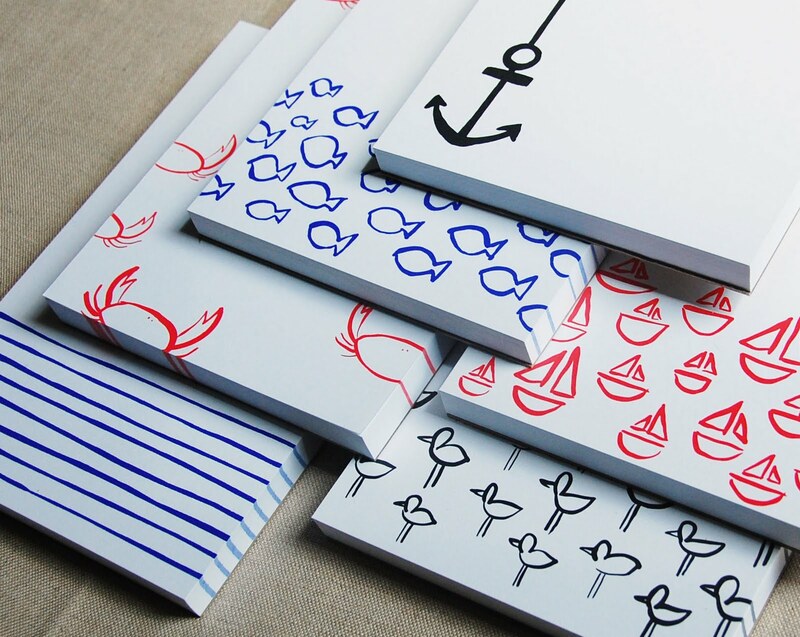 While I still do great with all their products (birthday book, calendars & greeting cards) one item that does extremely well for me is their notepads. I stocked up on the previous designs before they stopped doing them, but the designer, Liz, has brought them back! This time she is using a watercolor look / feel which I love. 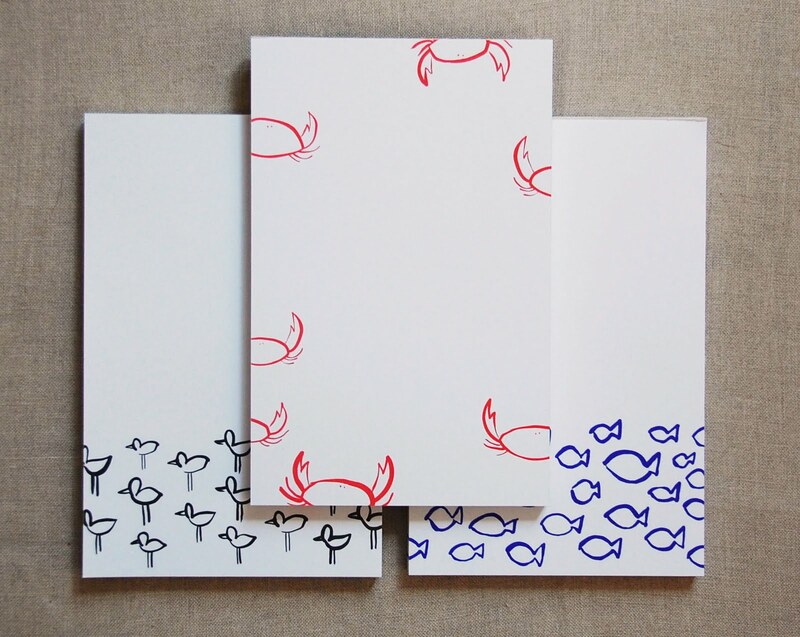 I have already sold out of the crab notepads and had to reorder them about two weeks after getting the first shipment. 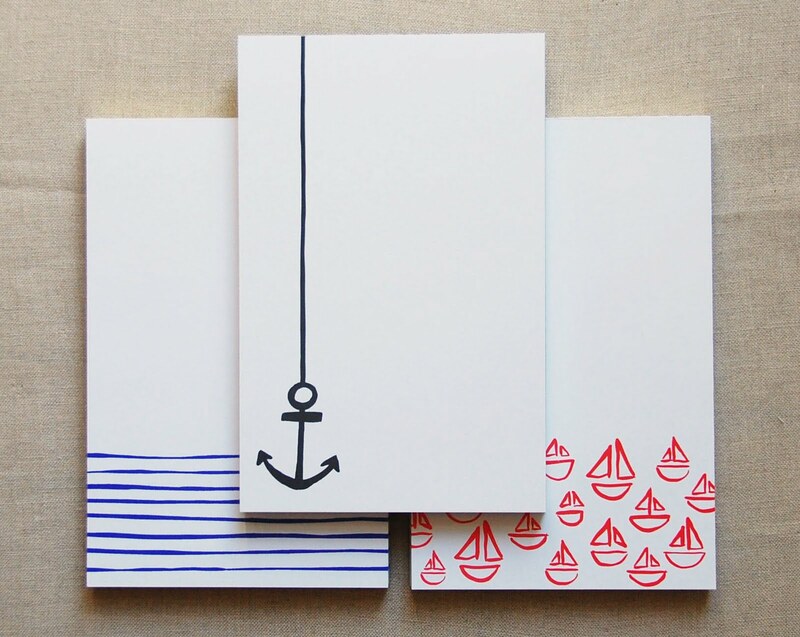 The sailboats are another favorite of my customers. They are priced incredibly well and make a great gift!